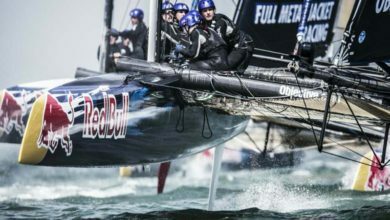 Daniel Ricciardo and Max Verstappen took their racing mentality to the water as they battled it out in Red Bull Sailing’s 40-foot catamaran and the GC32 foiling multihull. 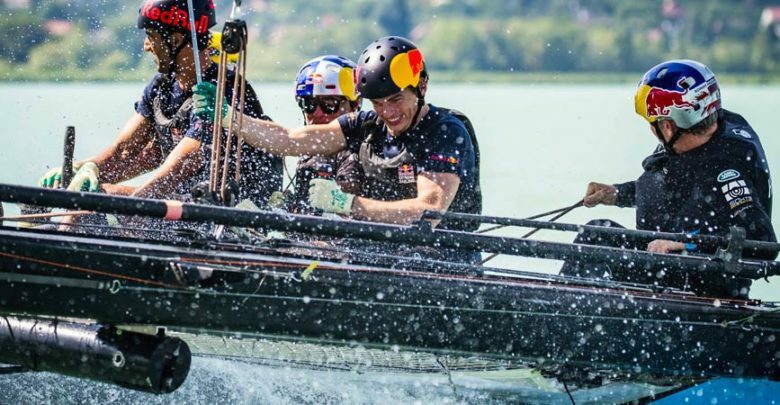 Both drivers claimed victory on the water as they were put through their paces on Lake Balaton on the eve of the Hungarian Grand Prix by double Olympic gold medallists Roman Hagara and Hans Peter Steinacher. The day began at a slow pace as Ricciardo and Verstappen got to grips with their unfamiliar cockpits before the speed – at 33knots (38mph) admittedly slower than in Formula 1’s fast lane – and the competition ramped up. 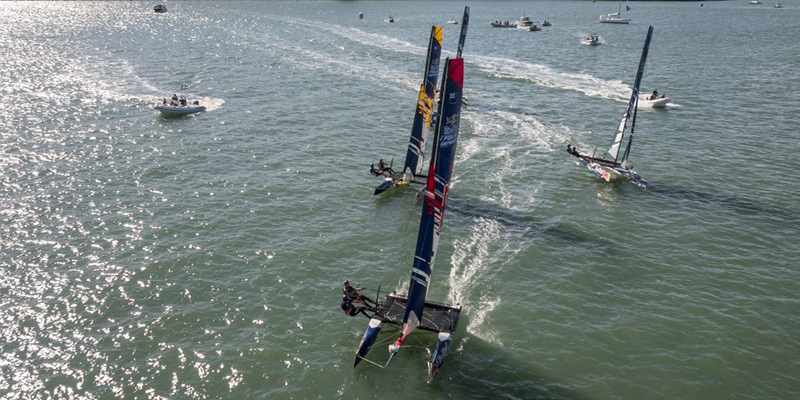 Ricciardo teamed up with Hagara in the GC32 while Verstappen was paired with Steinacher, the latter duo almost nose diving into the water from the outset because of the high winds. Like any speed rivals, though, neither gave an inch and both crews disputed the result of the racing. 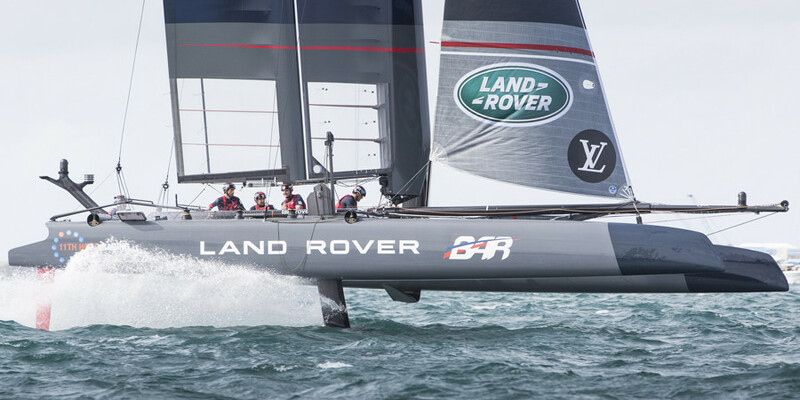 Steinacher claimed: “Max and I were leading but the finish line was always moving. 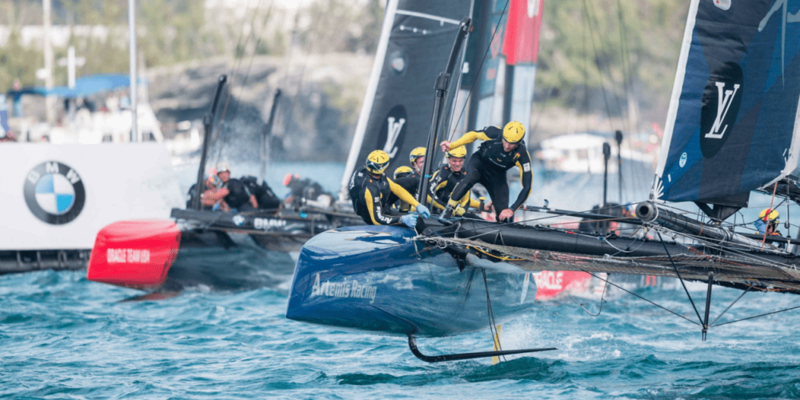 I was pretty sure we had done it.” Hagara, meanwhile, suggested: “It was a really close finish and we thought we won so we celebrated by jumping into the water.” Probably best to call it a draw! Thanks to Red Bull Content Pool.